I wanted to see if I liked die cutting the wheelbarrow 3-4 times. It was FUN... Not that bad at all. to fill it up with! And this die turned up..
Yay.. forgot I had it..
BEGS to show off your blooms.....! What a gorgeous array of flowers in the wheelbarrow, WOW! 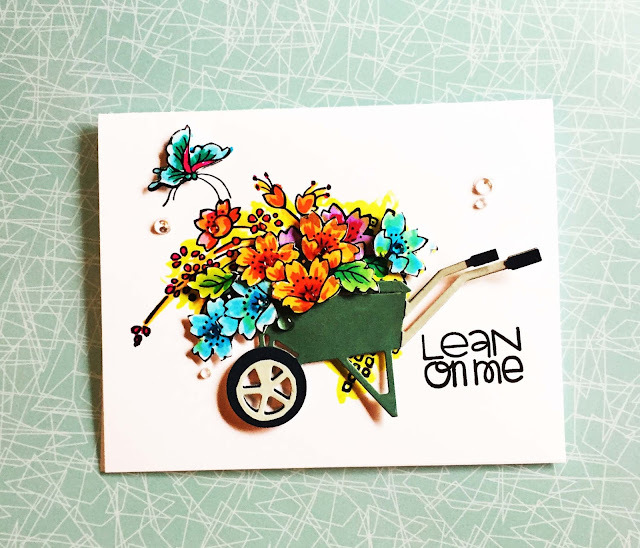 Your bloom-filled wheelbarrow is gorgeous! So bright & cheerful. Oh my goodness, this is a perfect summer card!! love all the combined elements, this is super sweet!